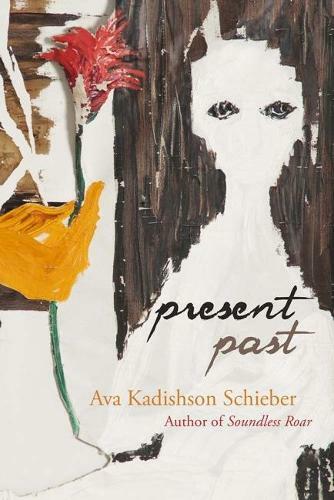 Present Past is a collection of stories, artwork, and poetry by Ava Kadishson Schieber. Like her debut work, Soundless Roar, this multi-genre collection creates rich and varied pathways for readers to approach Schieber as well as the absorbing events and transformations in her life as a Holocaust survivor. The focus of Present Past is her life after the Shoah. Rejecting stereotypes of survivors as traumatized or broken, Schieber is stark yet exuberant, formidable yet nuanced. The woman whoemerges in Schieber's Present Past is a multifaceted, heterogeneous figure-poet, artist, and survivor. In it, she plays the passionate observer who dispassionately curates the kaleidoscopicmemories of her tumultuous personal and professional life in Belgrade, Prague, Tel Aviv, New York, and Chicago. Organized into thirteen chapters, each a blend of images, poems, and narrative, this moving new work offers myriad points of entry to readers of these genres, those fascinated in the relationship between the Holocaust and art, as well as readers interested in memory and survivorship. In these pages, Schieber is a captivating person both as a protagonist and as the artist responsible for the collection itself. Her poetry, drawings, and prose share a stark quality, one that touches on many senses of the word: sharp, severe, blunt, simple, and striking. This starkness is powerful in and of itself, but it is especially potent in the context of the Holocaust a subject that often seems to resist such direct, unadorned responses. "In these pages, Schieber is a captivating person--both as a protagonist and as the artist responsible for the collection itself. Her poetry, drawings, and prose share a stark quality, one that touches on many senses of the word: sharp, severe, blunt, simple, and striking. This starkness is powerful in and of itself, but it is especially potent in the context of the Holocaust--a subject that often seems to resist such direct, unadorned responses."